While researching the population status of Foxe Basin polar bears I came across an issue that seems to have garnered relatively little attention outside the polar bear community – Inuit objections to the handling of polar bears during mark-recapture surveys and the effect of this on polar bear research in Canada. Figure 1. US Fish and Wildlife biologists handling a polar bear in the southern Beaufort during a fall survey, October 24, 2001. Steve Amstrup photo. 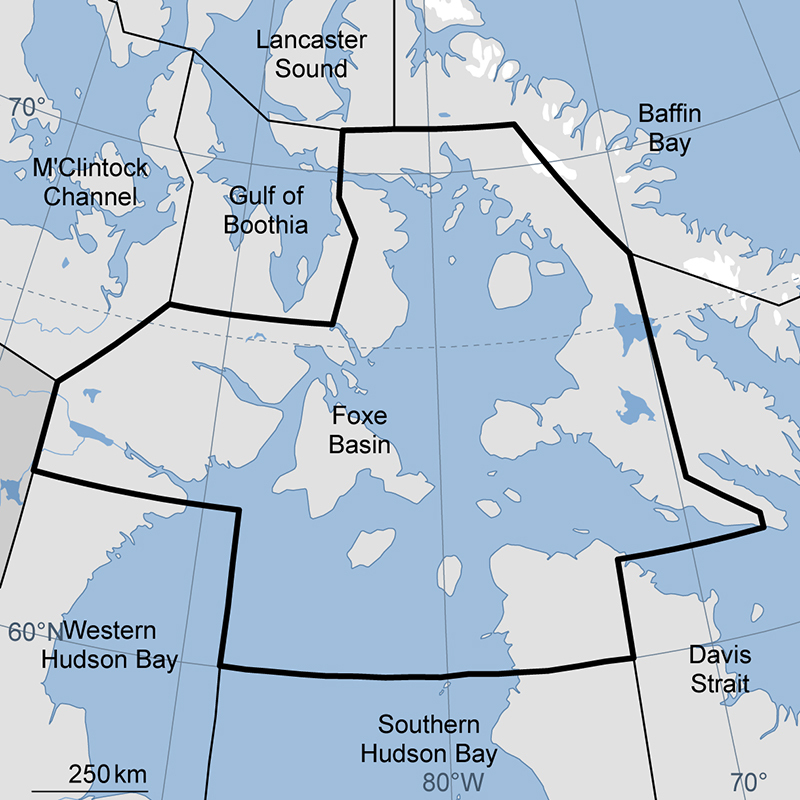 Foxe Basin is a large polar bear subpopulation region that encompasses the northern portion Hudson Bay into the area west of Baffin Island, see map below (courtesy IUCN Polar Bear Specialist Group). Mark-recapture research methods routinely used by polar bear biologists became especially contentious in Foxe Basin during a population study initiated in 2007/2008, with Inuit residents voicing objections and biologists defending its practice. The following year, the mark-recapture effort was halted and an aerial survey took its place. The aerial survey has been completed and a report on it was released in 2012 (Stapleton et al. 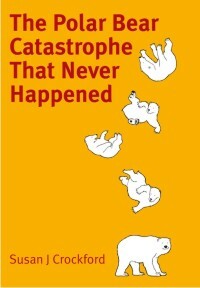 2012; see previous post for results) but we’ve heard very little about what happened to that mark-recapture study and why the Government of Nunavut pulled the plug on it. I plan to change that with the next couple of posts. I’m not claiming to understand the nuances of the story because I’m only going by available documents. However, I think it’s important to shine some light on this issue since it has clearly changed the shape of polar bear research in Canada. According to documents available online and through the Government of Nunavut, the Foxe Basin population study proposed by Lily Peacock (Government of Nunavut) and Andrew Derocher (University of Alberta) was slated to run from 2007 to 2012 (Peacock et al. 2008). Peacock et al.’s proposal makes no mention of an aerial survey, only a mark-recapture project and a bit of sea ice analysis. Figure . Executive summary excerpt from the Peacock et al. 2009 interim report on the Foxe Basin mark-recapture study. Click to enlarge. Where and why did the aerial survey come in? As the above excerpt indicates, the aerial survey began in 2008/2009, the year after the mark-recapture study began. “Inuit hunters aren’t happy about a Government of Nunavut research scheme that would tranquilize 300 polar bears from the Foxe Basin sub-population and fit them out with radio-frequency ear tags. “It is a very grave concern for us,” said Paul Quassa, the mayor of Igloolik, who added that he and other mayors raised the issue at last week’s meeting of the Nunavut Association of Municipalities in Rankin Inlet. Hunters hate the use of tranquilizing drugs to immobilize the animals. That’s because of a Health Canada guideline that bans the consumption of meat from an animal that has been killed within a year after being tranquilized. Because of this rule, growing numbers of Nunavut polar bear hunters have caught bears they’re not allowed to eat. Instead, the GN pays them $300 in compensation. Researchers will wrap GPS satellite collars around the necks of about 35 bears, then use computers to track their movements from signals routed to them through GPS satellites. They’ll also measure each animal, take blood, fat and hair samples, and remove a tooth to determine the bear’s age. Hunters have almost always opposed the use of such techniques, especially satellite collars, saying they threaten the animal’s health. Quassa said hunters fear that the collars will cause bears to get their heads stuck through breathing holes in the ice while hunting seals. And hunters in Repulse Bay have complained that researchers attach the collars at a time of year when the bears are thin. They say that later in the year, when bears get fat, the tight collar chokes them. Elizabeth Peacock, the GN’s polar bear biologist, said the use of the RFID ear tags means the tagged bears don’t have to be re-immobilized for future study. “We’re trying to reduce the amount of handling,” Peacock said. And she dismissed the concerns of hunters about satellite collars, saying there’s no evidence to support such fears. Peacock said researchers believe that number has risen to about 2,200, but they need rigorous scientific proof to support that theory. She said that’s why researchers have to immobilize, tag and handle as many as 300 bears – to get an accurate population estimate. “It’s just the way that people estimate polar bear populations. It’s what we do to get a good estimate. You need a high relative sample size,” Peacock said. And Peacock said the GN is trying to persuade Health Canada to lift its one-year ban on eating the meat of drugged animals. That’s because research has shown that animals usually excrete Zoletil from their bodies within a few weeks. Gabriel Nirlungayuk, the director of wildlife for Nunavut Tunngavik Inc., said his organization is deeply concerned about the large numbers of polar bears that researchers handle every year. That’s mostly because of a recently completed study of the Davis Strait population that led to hunters in South Baffin catching large numbers of recently tranquilized bears. At its annual general meeting last fall, NTI delegates passed a resolution asking the GN to stop tranquilizing animals and to look for other ways of doing population surveys. A research permit application for this year’s phase of the Foxe Basin polar bear study – which would start Aug. 1 this year and finish on July 30, 2009 – is now in the hands of the Nunavut Research Institute. 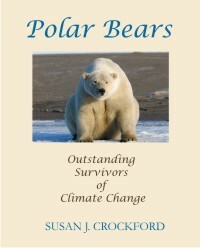 So, it appears that Inuit objections were not only about the effect that handling bears might have on the bears’ subsequent survival but also how the tranquilizing drug affected the quality of meat for human consumption (similar to objections to the lingering presence of antibiotics in farm animals) – which means some of the opposition is tied to the Inuit right to hunt bears for food and a not-unreasonable desire to have that meat untainted with drugs. In addition, Inuit concerns over mark-recapture had been voiced during a previous study, the Davis Strait survey of 2005-2007, for which Lily Peacock was also a co-investigator (see previous posts here and here). 3) We have done all we can to modify our methods to appease Inuit concerns. 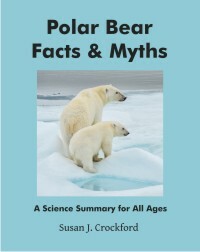 Clearly, Peacock’s approach did not alleviate Inuit concerns because in what appears to have been a first for Canadian polar bear biologists (to their surprise and ire), their permit application for further mark-recapture work in 2008/2009 was denied by the Government of Nunavut. Some data did get collected from a limited number of bears captured before the plug was pulled on the field work (reported in interim reports, Peacock et al. 2009; Derocher and Sahanatien 2010). However, so far, it seems that no final report on the Foxe Basin mark-recapture work accomplished in 2007-2010 is available (if there is one, no one is talking about it). Unfortunately — or maybe not — we may never see data like that collected in Arctic Canada again. The cancellation of the Foxe Basin mark-recapture work was a watershed moment for polar bear research in Canada. Inuit objections to the way biologists routinely tranquilize, capture and handle polar bears have put a stop to virtually all mark-recapture population studies. For the time being, aerial surveys and darts shot from helicopters to collect DNA samples (as has recently been done in Baffin Bay) have replaced mark-recapture studies for population estimates and status assessments. In my next post, I’ll discuss how Canadian biologists dependent on mark-recapture data have reacted to the challenge of Inuit resistance to their methods, because the newspaper story quoted above only touches the surface. Peacock, E., Derocher, A.E. and Sahanatien, V. 2008. Foxe Basin Polar Bears: Population Inventory and Sea-ice Habitat Selection. 2007 Proposal. Government of Nunavut. Available online, pdf here. Sahanatien, V. and Derocher, A.E. 2010. 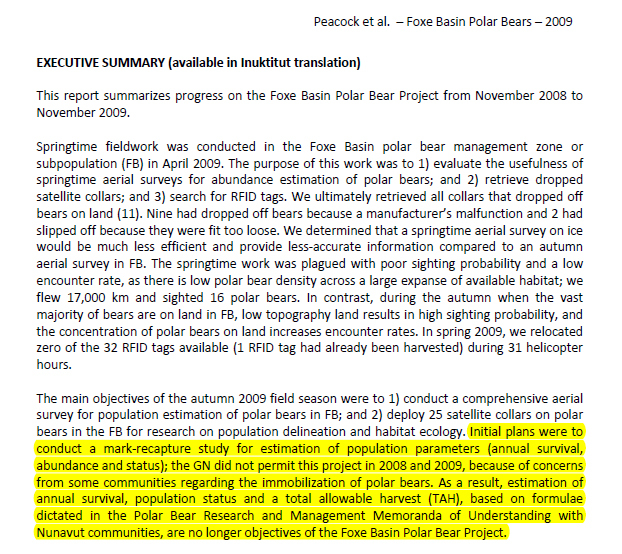 Foxe Basin polar bear project, 2010 interim report. Available online, pdf here. Stapleton, S., Peacock, E., Garshelis, D., and Atkinson, S. 2012. Foxe Basin polar bear aerial survey, 2009 and 2010, final report. Nunavut Wildlife Research Trust, Government of Nunavut, Igloolik. Available online, Pdf here. Stapleton, S., Garshelis, D., and Atkinson, S. 2010. 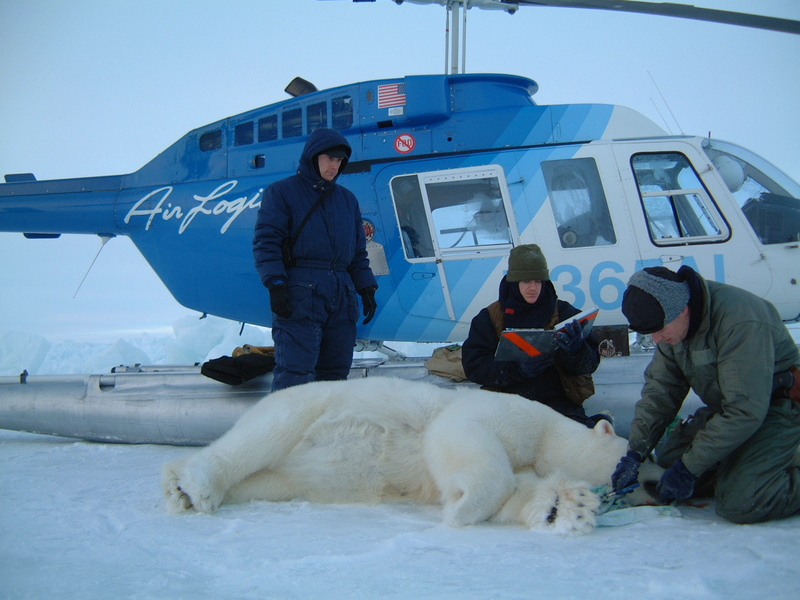 Aerial survey population monitoring of polar bears in Foxe Basin, 2010 Interim Report. Government of Nunavut, NWRT Project Number 2-1-13. Available online, pdf here. Stapleton, S., E. Peacock, S. Atkinson and D. Garshelis. 2012. Aerial survey population monitoring of polar bears in Foxe Basin. Preliminary final report, to the Nunavut Wildlife Research Trust and project collaborators. Available online, pdf here. This entry was posted in Life History, Population and tagged aerial survey, Atkinson, Canada, Derocher, field work, Foxe Basin, Inuit, mark-recapture, non-invasive research, Nunavut, objections to mark-recapture, Peacock, polar bear handling, polar bear research, research methods, Stapleton, tainted meat, tranquilizer drugs, Zoletil. Bookmark the permalink.